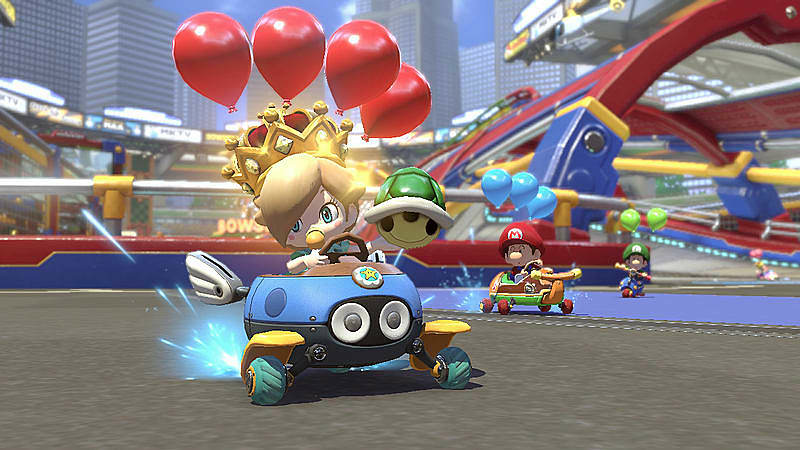 Mario Kart 8 Deluxe for Nintendo Switch, fans can enjoy the definitive version of Mario Kart 8 anywhere, anytime- even with up to 8 friends! 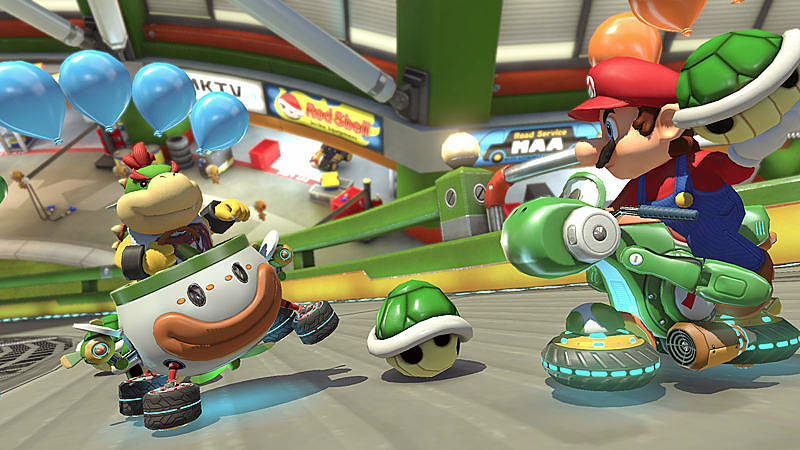 Mario Kart 8 is back- and bigger than ever on Nintendo Switch! 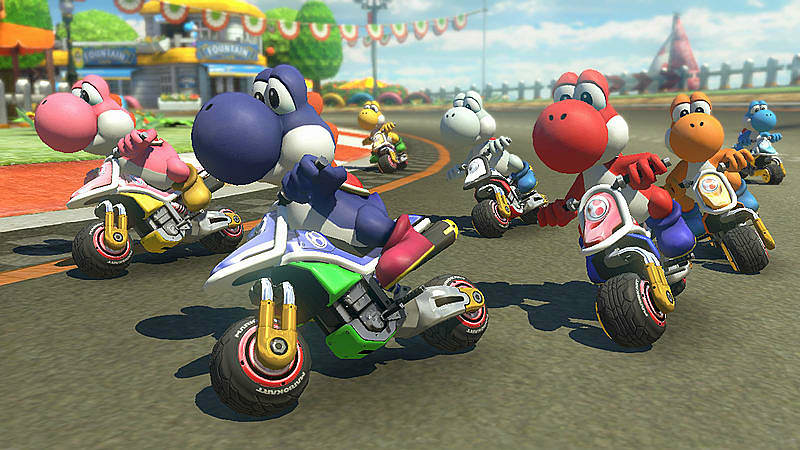 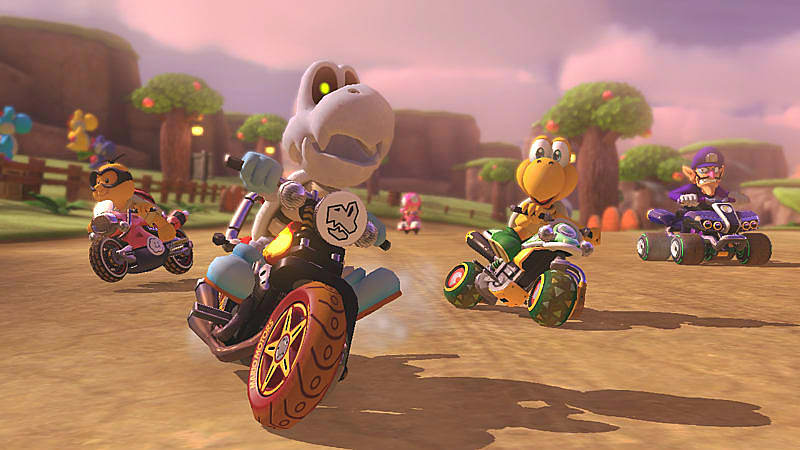 All your favourite tracks and characters return from the Wii U version just for Nintendo Switch. 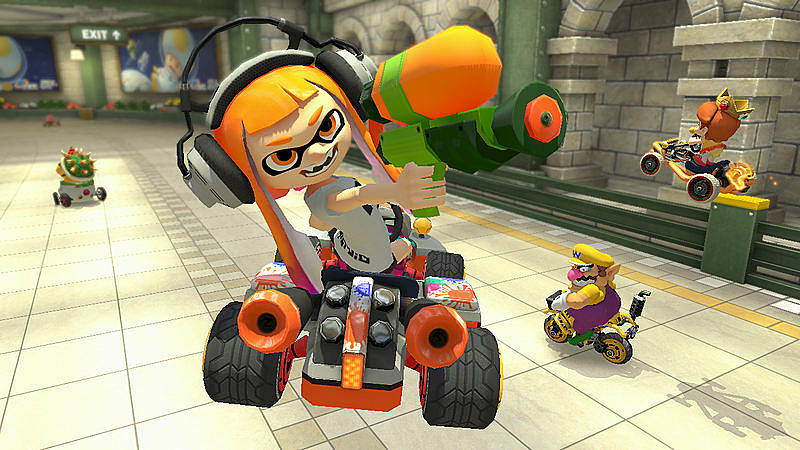 DLC tracks and characters are included, plus new characters join the roster, too: Inkling Boy and Inkling Girl from Splatoon, King Boo, Dry Bones, and Bowser Jr.! 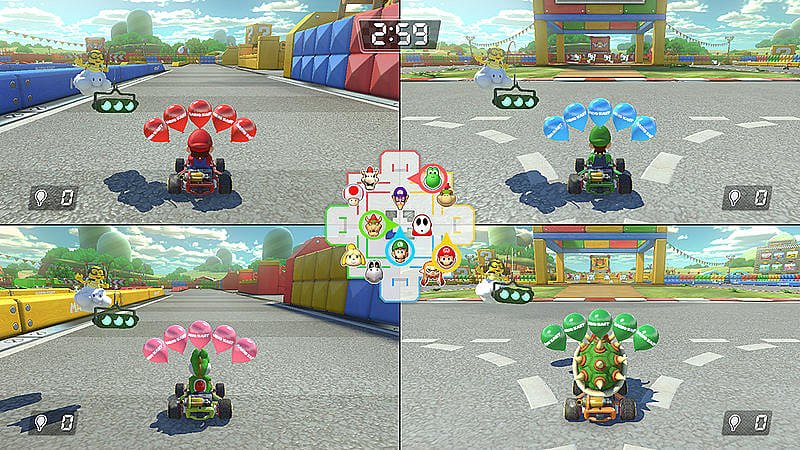 Battle Mode has been revamped and includes Balloon Battle and Bob-omb Blast, with all-new courses such as Urchin Underpass and Battle Stadium, and returning ones like (GCN) Luigi’s Mansion and (SNES) Battle Course 1. 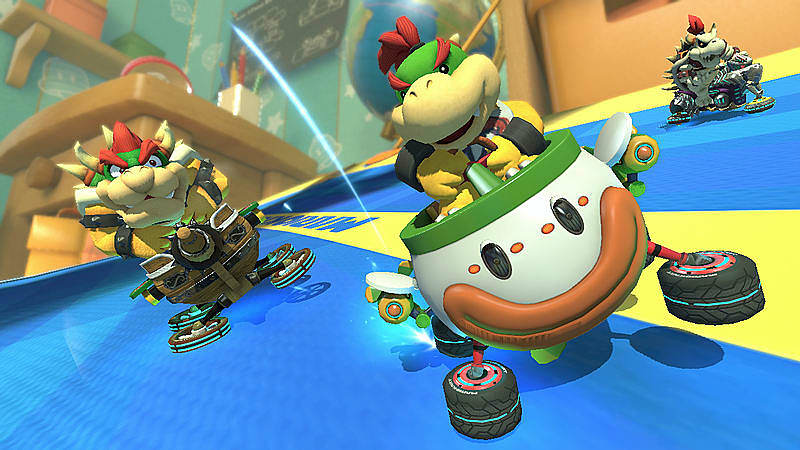 Players can even choose to use a new Smart Steering feature which makes driving and staying on the track easy for novice players and kids, even at 200cc. 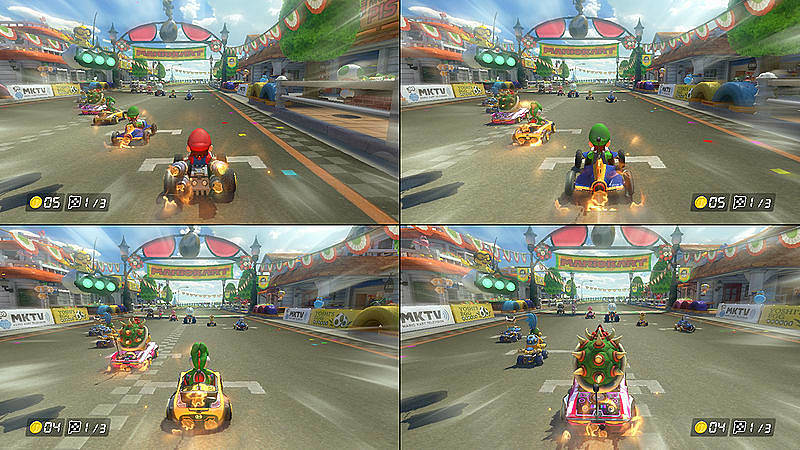 Play in TV mode in up to 1080p. 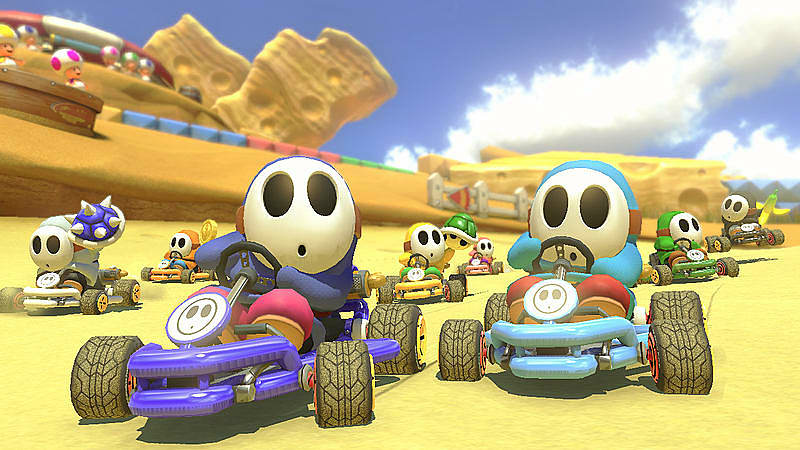 Race your friends anytime and anywhere! 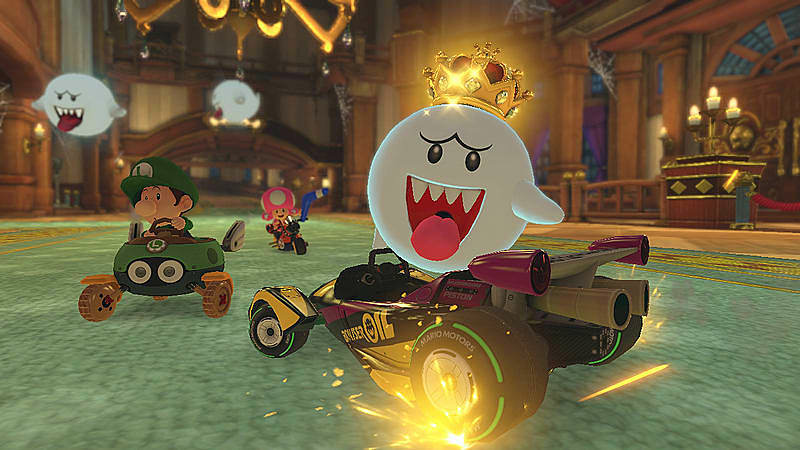 Players can also create highlight reels and watch them again via the in-game mode Mario Kart TV, allowing them to save the memories of their greatest successes, or their most glorious failures. 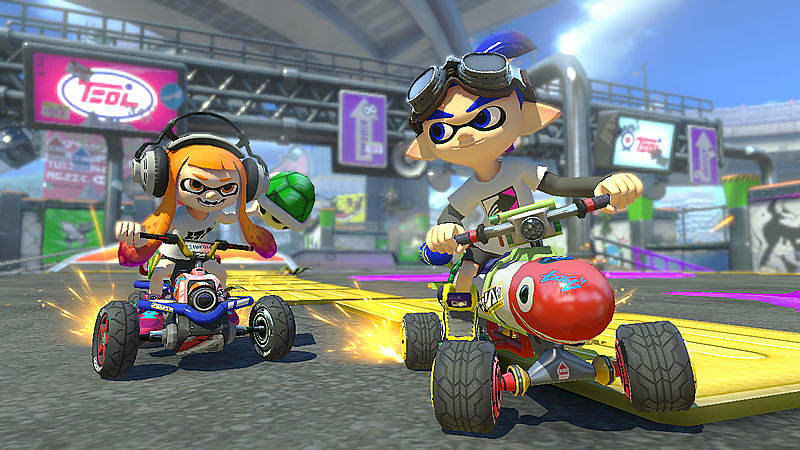 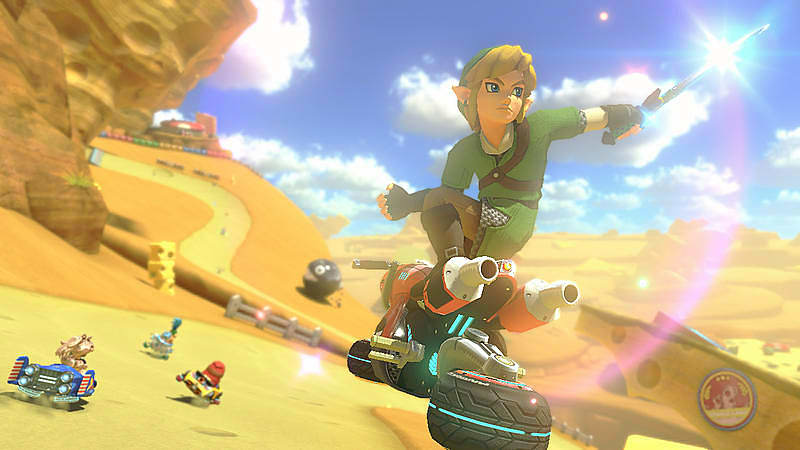 Should players wish to race in style, Mario Kart 8 Deluxe comes with a wide range of amiibo compatibility, including some Super Mario series and all the Animal Crossing series, while Splatoon series of amiibo grant a new racing suit for Mii characters. 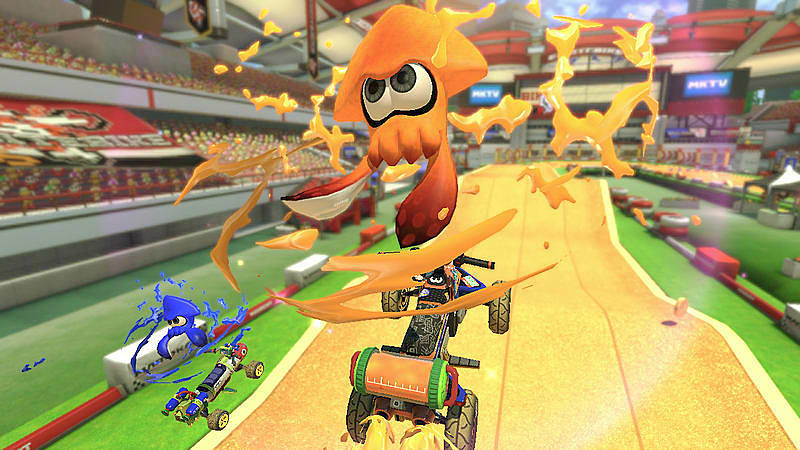 ** For LAN Play each console requires its own USB to LAN adapter, sold separately.